Visiting India with children? Don’t assume that you’ll have to trade luxury – and inspiring local experiences – for the sake of finding a family-friendly stay. These five destination hotels have mastered the art of hospitality, whether guests are eight or 80 years old. From children’s vacation villages to cooking classes for the pint-sized, special hotel tours to nature treks, read on to discover why bringing the kids along can be one of the most rewarding ways to explore the Subcontinent. Goa – with its sun, beaches, and laidback tropical vibes – is most people’s idea of an excellent vacation destination. 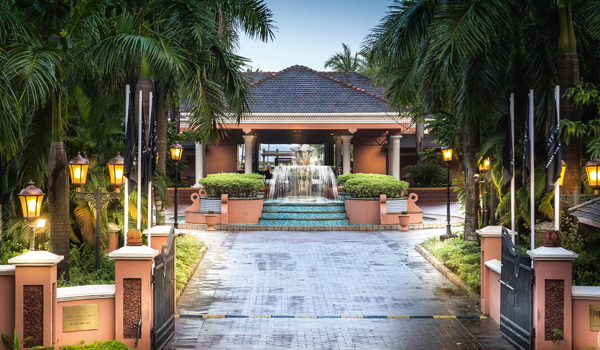 And for those visiting India with children, the coastal state is wonderfully accessible too, thanks to hotels like the Vivanta by Taj – Holiday Village. The luxury hotel hosts a supervised ‘Jungle Jam’ area entirely devoted to kids, which includes a play area, pool, and restaurant that serves pizza, burgers, and other child-friendly bites. All the while, adults can sip cocktails at the pool bar, enjoy traditional Goan fare cooked by Executive Chef Rego, and lap up afternoons of pampering at the Jiva Spa. Not only is the Oberoi Rajvilas one of India’s most resplendent and palatial hotels, it’s also a welcoming retreat for visiting families. 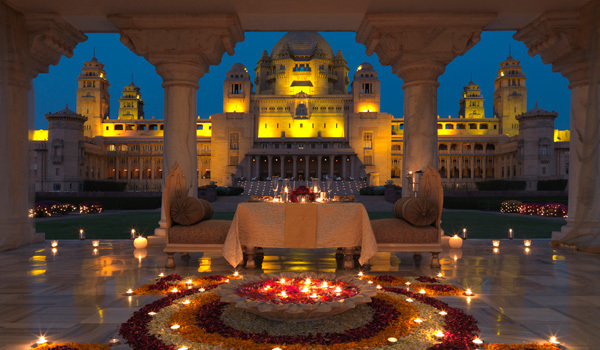 Located in regal Jaipur, the hotel is built around an 18th century Shiva temple, and spans 32 acres of gardens. 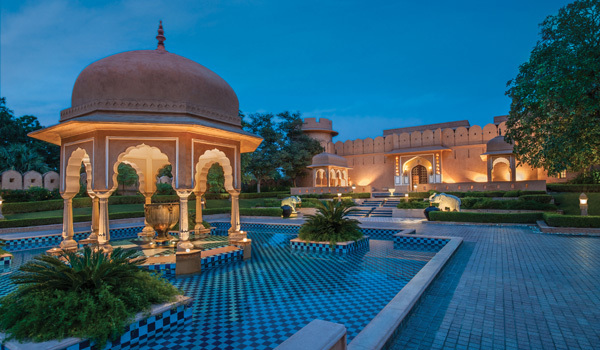 Children can sign up for cookery classes, learn traditional block printing techniques, and even take a full tour of the hotel grounds as part of the Oberoi’s Young Hoteliers Programme. Herb garden breakfasts, elephant safaris, and other diversions also tempt. For visitors to Goa (young and old), it doesn’t get much more luxurious than the five-star Park Hyatt Goa. The resort, which looks onto the beautiful Arossim Beach, hosts one of the largest swimming pools in India (not to mention fine dining restaurants, pampering guestrooms, and the Sereno Spa). But lest that all sound a bit grown-up, note that the hotel runs its own ‘Camp Hyatt’ exclusively for younger visitors. With two sections – one for toddlers, and one for children up to the age of 12 – the camp includes everything from arts and crafts to a movie room, video games to a children’s library. Located in the beautiful, Thar Desert-situated Jodhpur, the sprawling Umaid Bhawan Palace is a marvel of 20th century Indian architecture. Built beginning in the 1920s by a local Maharaja, the palace hotel is still one of the world’s largest private residences. But it also capably caters to guests visiting India with children. 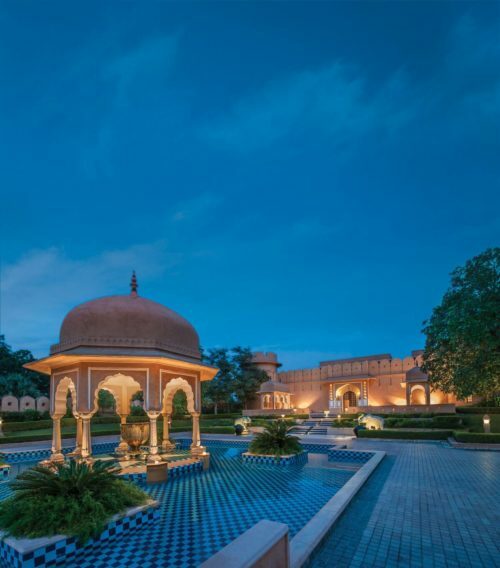 Families can pile into gorgeous vintage cars for a turn about the local scenery, go for chartered excursions through the nearby Mehrangarh Fort, and play in the hotel’s pools. And then, once night falls, parents can take advantage of the hotel’s babysitting services. Set amidst the lush forests of hilly Karnataka, Coorg has a long history as a summer retreat. Today, it’s still an oasis, with fragrant spice plantations and mist-shrouded landscapes. 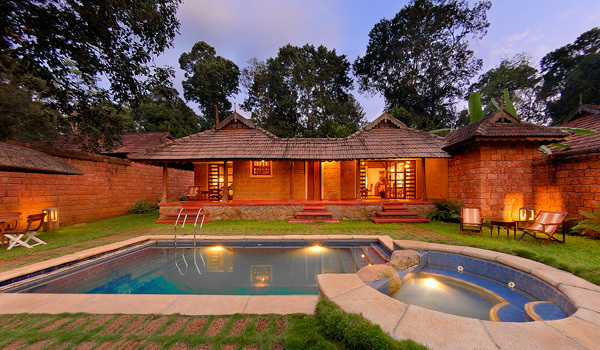 Visiting families can take it all in at Orange County Coorg, a wonderfully friendly and homely resort. An infinity pool is best for romance-seeking couples, while a family pool has child-safe zones that are perfect for younger paddlers. Nature walks, bird watching trips, and village visits cater to those with an adventurous streak. And private villas make for a cosy way to retire in the evenings.